In today’s changing environment, a medical practice’s ability to ensure that revenue is maximized, and financial ‘leakage’ is minimized, is crucial to its economic success. Maximizing revenue includes ensuring the appropriate level of payments against claims for every patient serviced. Minimizing financial leakage is best achieved by implementing sufficient financial controls and oversight to ensure reconciled deposits across accounts and discouraging employee misconduct. While most medical practices assume they have implemented the appropriate level of financial controls, independent analysis typically reveals a surprising level of losses stemming from not having the right checks and balances in place throughout the Service-to-Payment process. Figure 1 – Medical Practice Service-to-Payment Cycle – The service to payment cycle is the end-to-end process of servicing patients through to the receipt of payment for services renders from insurance companies. The optimization of this process results in an overall increase in profitability to medical practices. The process can be optimized through the monitoring of defined control points throughout the cycle. Cash Payments Reconciliation – Practices which handle a significant amount of cash payments need to implement controls around the collection, recording, deposit, and reconciliation of funds. Cash payments offer significant opportunities for funds to be mishandled or for employee malfeasance. Best practices for handling cash payments include:Documenting each patient served through a sign-in sheet and recording the method of payment for service or co-pay. Documenting each patient served through a sign-in sheet and recording the method of payment for service or co-pay. Reconciling all payments collected by patients (Cash, Debit, Credit) against bank statements. Ensuring that all cash payments are totaled and reconciled daily with deposits at the bank. Cash payments should not be aggregated across multiple days to simplify reconciliation tracking for audit purposes. Billing Assurance – Practices often miss filing insurance claims against all the patients serviced. In larger practices, a 1 or 2% rate of missed claims can result in a significant loss of revenue. These types of mistakes do not typically occur as a result of employee misconduct or malfeasance, but rather a natural error rate as a result of normal billing operations. Charge differential, defined as the difference between standard pricing and charges for procedures issued below the pricing negotiated with individual insurance companies, also impacts a practice’s profitability. This differential is typically difficult to monitor on an ongoing basis because it requires managing complex tables which track the billing agreements by current procedural terminology (CPT) code negotiated between the multitudes of insurance companies a practice interacts with. All claims issued to insurance companies are paid. 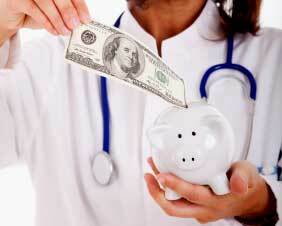 All paid claims are paid at the negotiated contract level with each Payer/Insurance company. This level is different for every Payer. A critical area of claims assurance for medical practices is the analysis of adjustments on claims received from insurance companies. Adjustments should reflect a standard discount received against a claim from a given insurance company and should range from 20 to 50% based upon the CPT code. A thorough analysis will typically reveal adjustments in the range of 75% or above, with a 100% adjustment meaning the insurance company has not paid anything against the claim. Reasons for these high adjustments are multi-fold ranging from insurance company errors to rejection of claims due to input error from the practice’s billing staff. While this information is available in the standard billing software utilized by medical practices, the rigorous analysis of the aging report and the ability to mine the data into ‘useful information’ is what proves more difficult for practice personnel. 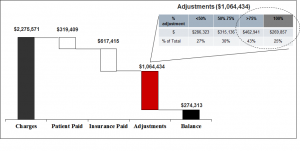 Figure 2 – Claims Assurance Analysis – In this sample analysis of insurance adjustments, basic information has been analyzed using the practice’s billing software. The $2.2M in revenue has been categorized into Patient Paid, Insurance Paid, Adjustments and Remaining Balance. The $1.1M in adjustments have been further detailed into groups of <50%, 50-75%, > 75%, and 100% adjusted. As can be seen from the table, the >75% and 100% adjustment buckets represent $732,798. Periodic (daily, weekly, monthly) exception reporting across the Service-to-Payment cycle to quickly identify issues and prompt corrective action. Independent oversight of controls to minimize conflict of interest. Periodic analysis and tracking of key performance indicators to establish performance baselining and to ensure their long-term results are being achieved. Particularly in today’s fast-changing environment, medical practices and facilities need to challenge themselves to take a fresh look at their operations. While office management may be reluctant to implement potential improvements, ownership clearly wants to increase operational efficiencies in order to mitigate the possibility of lost revenues. While these conflicting interests between vested parties often create a reluctance to take a fresh, objective review of the current processes, an independent analysis of operations can uncover and correct inefficiencies thereby increasing the practice’s profitability off of the existing patient base. What’s the Difference Between Bookkeepers and Accountants? When most people think about bookkeeping and accounting, they would be hard-pressed to describe the differences between each process. 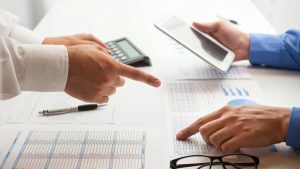 In this article, the functional differences between accounting and bookkeeping are explained, as well as the differences between the roles of bookkeepers and accountants. While bookkeeping and accounting share common goals, they each make up a different stage of the financial cycle. Read on for a look at what each process is comprised of. Bookkeeping is the process of recording daily transactions in a consistent way and is a key component to building a strong business foundation. Maintaining a general ledger is one of the main components of bookkeeping. The general ledger is a basic document where a bookkeeper records the amounts from sale and expense receipts. This is referred to as posting and the more sales that are completed, the more often the ledger is posted. A ledger can be created with specialized software, a computer spreadsheet, or simply a lined sheet of paper. The complexity of a bookkeeping system often depends on the size of the business and the number of transactions that are completed daily, weekly, and monthly. All sales and purchases made by your business need to be recorded in the ledger, and certain items need supporting documents. The IRS clearly lays out which business transactions require supporting documents on their website. It is interesting to note that since the advent of accounting and bookkeeping software, some components of the accounting process have been absorbed into the bookkeeping process. For instance, bookkeeping software is typically capable of building financial statements – blurring some of the traditional lines between the bookkeeping and accounting processes. Accounting is a high-level process that makes sense of information previously compiled, and produces financial models using that information. The process of accounting is more subjective than bookkeeping, which is largely transactional. Understanding the difference between bookkeeping and accounting is empowering as a business owner, but it’s also important to understand the kinds of credentials accountants and bookkeepers have in order to determine how or when to use each. Read on for a look at what the roles of bookkeeper and accountant entail. The Bookkeeper: Typically, bookkeepers are required to have between two and four years of experience or an associate’s degree. In order to be successful in their work, bookkeepers need to be sticklers for accuracy, and knowledgeable about key financial topics. Usually, the bookkeeper’s work is overseen by either an accountant or the small business owner whose books they are doing. The Accountant: To qualify for the title of accountant, generally an individual must have a bachelor’s degree in accounting. For those that don’t have a specific degree in accounting, finance degrees are often considered an adequate substitute. Accountants, unlike bookkeepers, are also eligible to acquire additional professional certifications. For example, accountants with sufficient experience and education can obtain the title of Certified Public Accountant (CPA), one of the most common types of accounting designations. To become a CPA, an accountant must pass the Uniform Certified Public Accountant exam and possess experience as a professional accountant. A successful marriage between bookkeeping and accounting will contribute to the long-term financial success of the business. Organized financial records and properly balanced finances produced by the bookkeeping and accounting processes are both key factors to this success. Some business owners learn to manage their finances on their own, while others opt to hire a professional so that they can focus on the parts of their business that they really love. Whichever option you choose, investing – whether it be time or money – into your business financials will only help your business grow. https://www.accounts-intl.com/wp-content/uploads/2017/12/03-inner.jpg 813 1920 Eric Williams https://www.accounts-intl.com/wp-content/uploads/2018/04/accountsllogo.v2-01-300x138.png Eric Williams2018-05-08 13:34:372018-05-13 01:12:28What’s the Difference Between Bookkeepers and Accountants? Why Do You Need to Outsource Accounting? Accounting outsourcing will help you in managing the accounting of your firm. Why does one need to outsource accounting? Read the article to find out. Reduced fraud: The chances of fraud increases in companies without CFO/controller. CFO/controller is a person who assesses and detects abnormal activity in the transactional data. Usually small business does not hire them, and the result is the fraud. Further, accounting controls are detected and prevent frauds up to 26%. After outsourcing, especially the small businesses can afford CFO/controller services can prevent loss. Reduced costs: Hiring a full-time accounting employee or part-time employees increase the cost and money spent on costly benefit packages. On the other hand, you only have to pay actual accounting fee it saves productivity and payroll costs. It is estimated that approximately 40% of the expenses can be saved per month after outsourcing the accounting. Save time for other important issues: Accounting itself is a complex and tedious process and looking after and checking for frauds etc. is another major task that needs time and energy. If you outsource your accounting, you will get enough free time for other tasks like bringing in new customers. Expert opinions: Outsourcing means that you are actually hiring experts for your business. They are well aware of all tax laws and other laws. They can accurately guide about tax information, full coverage to the accounting sections. Staffing options are also available on time when you need them. Companies to which you will outsource your firm’s accounting work will have qualified staff that can give you an expert opinion. A Professional Accounting: It is not always possible for one firm to hire many accountants and divide work among them. Accounting section deals with many issues like a tax return, cash flow, payrolls, etc. The chances of errors are always there. Outsourcing accounting means that you are hiring a decent team that double checks each other and ensure error free work. https://www.accounts-intl.com/wp-content/uploads/2017/12/EOM_Blog_Outsourcing.jpg 667 1000 adminburns https://www.accounts-intl.com/wp-content/uploads/2018/04/accountsllogo.v2-01-300x138.png adminburns2017-12-27 15:26:012018-05-13 01:10:04Why Do You Need to Outsource Accounting?